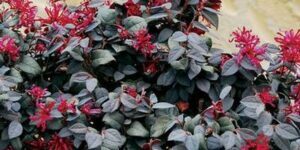 Dwarf beauty for sun or shade! 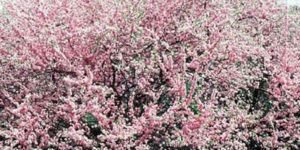 Any time a shrub will perform well in sun or shade, flower profusely and is evergreen all year, we feel the need to celebrate it! Pieris Cavatine (Pieris japonica ‘ Cavatine’) is just such a plant. 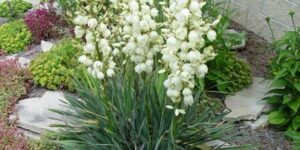 In the spring it is dripping with green buds that open to the classic bell-shaped flowers that pieris is known for. 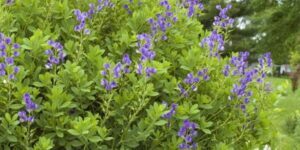 The rest of the year it is covered in glossy green leaves that give richness to any shrub planted near them. Here’s the beautiful thing about Cavatine, though. 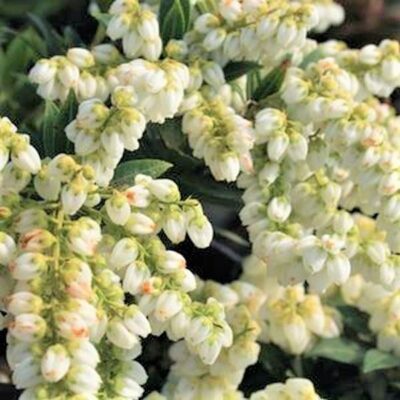 Unlike other pieris, which can grow 3-4 feet tall and wide, this little gem only gets 2 feet tall in 10 years and maintains its sweet rounded shape without any pruning necessary. 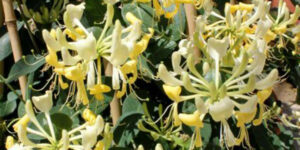 That means that this is the perfect evergreen flowering shrub for the front of the border or for the patio container. Cavatine will grow in just about any lighting condition – full sun to full shade. (It flowers best in full to dappled sun, though. Deep shade brings out more of the rich leaves than the bright flowers.
) 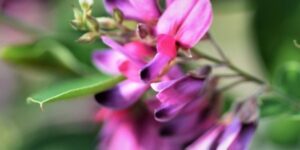 Try planting this in cottage garden borders. It also brings a heady dose of romance to woodland garden settings. 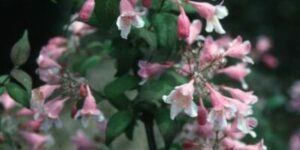 Plant a few in your favorite pots to have on the balcony or plant a couple in containers flanking the front entrance for a casual-yet-formal welcome. 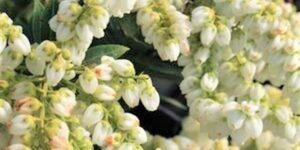 However you use it, Cavatine Pieris is sure to draw oohs and ahhs. Don’t miss out and order yours today!